Leading Manufacturer of cement brick machine, fully automatic block machine, fully automatic cement block making machine, chirag multi-usage fully automatic cement block making machine, chirag next-gen cement block making machine and chirag powerful performance block machines from Coimbatore. Cement Brick Machine We are Manufacturer and exporter of Multifunction fully automatic Cement Brick Machine, Brick Machine, Brick Making Machine, Fly Ash Brick Machine, Brick Manufacturing Machine, Ash Brick Machine, Ash Brick Making Machine, Cement Brick Machine, Cement Brick Making Machine, Brick Manufacturing Plant, Brick Production Plant.Cement Brick Machine This machine is Multifunctional, Could make All kinds of Blocks,Bricks and Pavers while change the Moulds. Automatic control system can achieve this process automatically: block forming, cuber, pallet sending, pallet separating, pallet clearing to pallet returning. the workers just need to control the whole system by monitor, it can achieve analyzing the signal easily, trouble-diagnose, and parameter-setting, make sure the best working efficiency, control the whole system easily. Fully Automatic Block Machine Owing to our rich industry experience, we are offering a wide range of Fully Automatic Block Machine. Following all the quality guidelines set by the industry, our skilled professionals fabricated this range using qualitative raw material.Fully Automatic Block Machine To meet the distinctive requirements of our esteemed clients, we are offering this range in various sizes, designs and specifications. Fully Automatic Cement Block Making Machine We are engaged in offering a wide range of Fully Automatic Cement Block Making Machine ( This machine is Multifunctional, Could make all kinds of Blocks,Bricks and Pavers while change the moulds.) 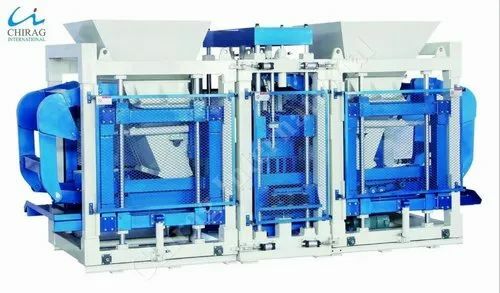 Simple structure; small occupying area; stable and reliable function and convenient maintaining; Fully Automatic Cement Block Making Machine Simple manual operation enables the workers to learn fast; This machine combines many functions into one with low consumption. It is adopting with multi-valves in series, electricity discharging unit and compressing and vibrating organic combing unit to materialize the highest molding and density of the finished products.Auto pallets conveying, pallets feeding and compulsive materials arranging have highly raised up the production efficiency and reduced the working intensity, while simple pallet conveying and feeding units can be installed for production. 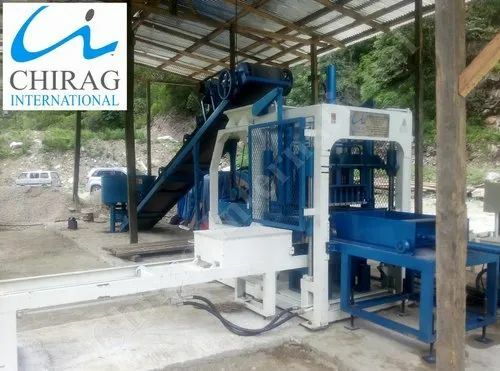 We are engaged in offering a wide range of Chirag Multi-Usage Fully Automatic Cement Block Making Machine ( This machine is Multifunctional, Could make all kinds of Blocks,Bricks and Pavers while change the moulds.) Simple structure; small occupying area; stable and reliable function and convenient maintaining; Simple manual operation enables the workers to learn fast; Chirag Multi-Usage Fully Automatic Cement Block Making Machine This machine combines many functions into one with low consumption. It is adopting with multi-valves in series, electricity discharging unit and compressing and vibrating organic combing unit to materialize the highest molding and density of the finished products.Auto pallets conveying, pallets feeding and compulsive materials arranging have highly raised up the production efficiency and reduced the working intensity, while simple pallet conveying and feeding units can be installed for production. 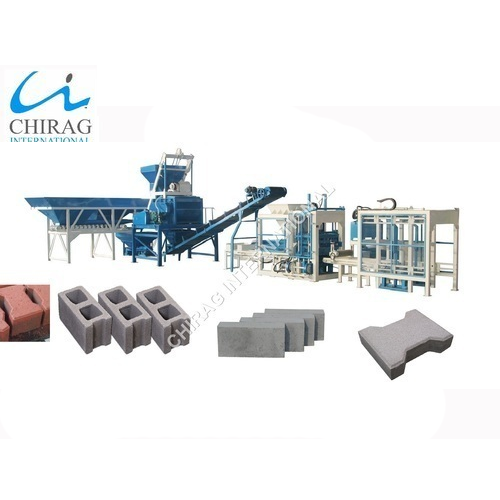 We are engaged in offering a wide range of Chirag Next-Gen Cement Block Making Machine ( This machine is Multifunctional, Could make all kinds of Blocks,Bricks and Pavers while change the moulds.) Simple structure; small occupying area; stable and reliable function and convenient maintaining; Chirag Next-Gen Cement Block Making Machine Simple manual operation enables the workers to learn fast; This machine combines many functions into one with low consumption. It is adopting with multi-valves in series, electricity discharging unit and compressing and vibrating organic combing unit to materialize the highest molding and density of the finished products.Auto pallets conveying, pallets feeding and compulsive materials arranging have highly raised up the production efficiency and reduced the working intensity, while simple pallet conveying and feeding units can be installed for production. 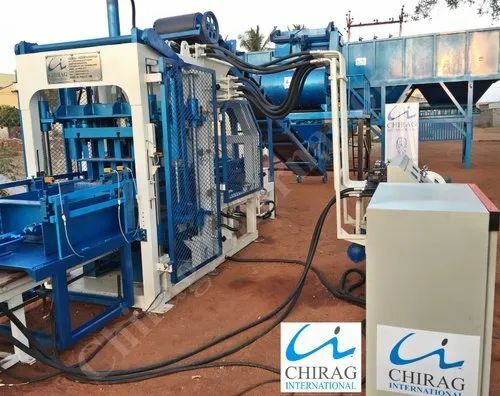 Chirag Powerful Performance Block Machines offered by us can be used for making all types of construction material such as Chirag Powerful Performance Block Machines fly ash brick, concrete block, interlocking brick, interlocking block, interlocking paver etc. Chirag Immense Technology Multifunction Block Machine offered by us can be used for making all types of construction material such as fly ash brick, concrete block, interlocking brick, interlocking block, interlocking paver etc. Chirag Immense Technology Multifunction Block Machine This model has been applied for the patent protected by state laws, counterfeiting is not allowed (Patent No.201220242625.7). Highly productive moulding device Chirag Mega Technology Manual Concrete Block Making Machine, which consists 360 rotating and compulsory feeding of raw materials, platform vibrating and compression shaping, greatly improves the cycle time. The finished blocks are of good shape and high quality. Chirag Mega Technology Manual Concrete Block Making Machine Our machines, with harmonic cooperation between mechanical, electrical and hydraulic machines functions, guarantees a reliable and high production output of concrete products. The moulds are changeable, and it is able to produce various kind of blocks,bricks,interlocks, pavers and kerbstones in different types, sizes, shapes, and colour layers. 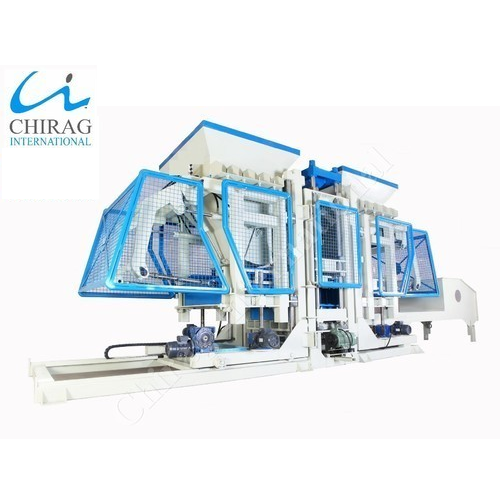 We take pride ourselves in offering a wide range of Chirag Latest Technology Hydraulic Block Machine to our clients. Our range is immensely used for making blocks for construction purposes. 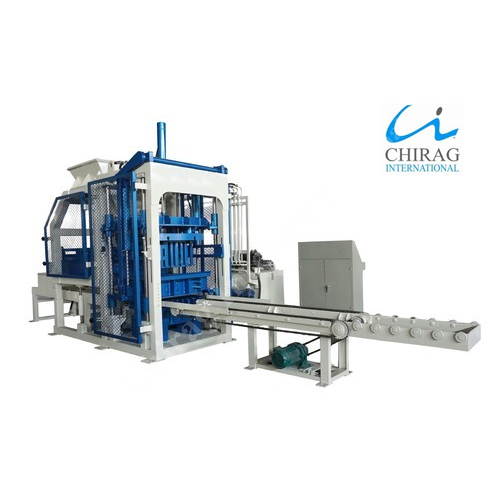 Chirag Latest Technology Hydraulic Block Machine These are well known for its features like sturdy construction, durable finish, easy operations and low maintenance. Chirag High Performance Block Making Machine Moreover, our products are competitively priced for easy affordability to our precious clients. This model has been applied for the patent protected by state laws, counterfeiting is not allowed (Patent No.201220242625.7). Looking for “Fully Automatic Cement Block Making Machine”?